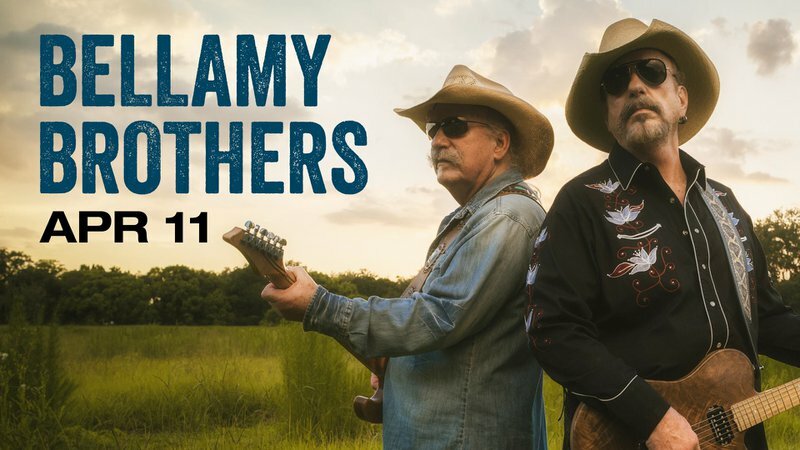 Hear some of your favorite 1970s and 1980s pop country music hits in Tulsa as The Bellamy Brothers take the stage at Paradise Cove in River Spirit Casino Resort. With their fourteen No. 1 singles in the U.S., the Bellamy Brothers raked in a series of musical successes over the years. Relive some of the most well-known Bellamy Brothers hits as this country pop duo treats the crowd to tracks like "Dancing Cowboys," "Sugar Daddy" and "Do You Love as Good as You Look." $20-30 While every effort has been made to ensure the accuracy of the pricing listed above, prices are subject to change without notice.